Neobux is the world's largest and probably the best known PTC site out there. Thousands of people join everyday, and millions of dollars have been paid by the company already. 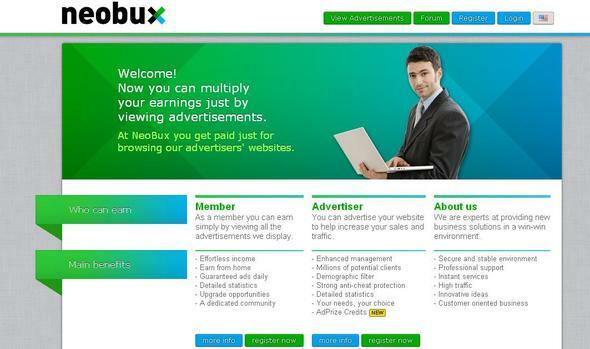 If you are not a Neobux user, joining is FREE and you can earn money! Why you want to join? It is innovative, time tested and proven PTC site that is free to join with upgrade opportunities available to unlock even more money making power.Making money on NeoBux is easy. Only a few minutes a day is required. There is more then one way to earn as a free member - besides getting paid to click advertisements, NeoBux offers other ways of making extra money like completing offers, mini jobs and partaking in AdPrize to win prizes. You can start earning by registering. In the beginning it will be hard and the first two weeks are "make it or break it" with NeoBux users. Sadly, a lack of education will cause many to leave, but you are in the right place to avoid missing out on this great opportunity. Click your daily ads so you can receive money and referral earnings the next day. Rented Referrals (RR) are members like you who join NeoBux directly without a referral from web searches, through ads, banners and other sources. You of course have the opportunity to rent referrals (at a cost, if you can afford to do so) to greatly enhance your daily income as you can make money from their clicks. Standart mebers get 0,005$ per click and upgraded get 0,01$ per click. Rent referrals only if you can afford to keep them. My advice is to always renew for 240 days so you get the best discount. You can refer NeoBux to friends, family and other people. When they sign up with your link, they become your direct referrals and you get credited for their clicks and also commissions. This is a great way to add an extra channel of earnings. 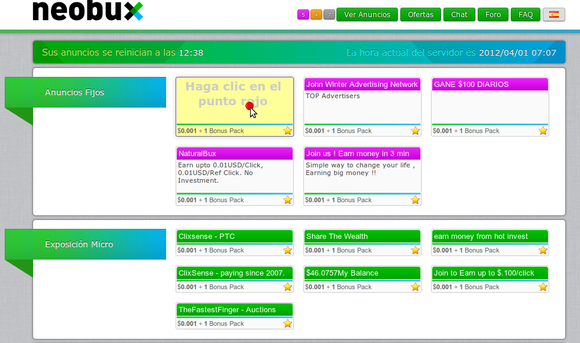 NeoBux has a feature called AdPrize which allows you chances to win with each ad that you click. Every time you click an ad you are given 3 Points and Chances in which allow you to win prizes ranging from Points, to money, to upgraded memberships. Collected points can be used for internal services. NeoBux offers the ability to complete Mini Jobs, which is a great was to earn extra income besides clicking your daily ads. Doing mini jobs also gives you a bonus 12% on every $1 you earn. The true power of NeoBux is in the memberships. This allows you to make even more money. Golden ( $90 / year ) doubles your income. Also you have 9 available fixed ads each day ($0.01). 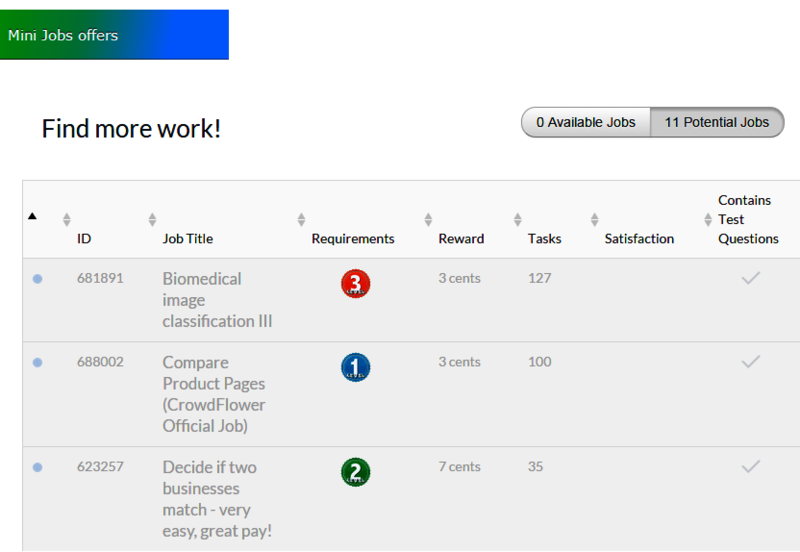 You can rent up to 2000 maximum referrals and get 24% bonus for each $1 earned from Mini Jobs. I would advise you to upgrade to Golden as soon as you have reached the limit of RR in the standard membership (300 RR). Continue to grow you account up until you reach 2000 RR. To fully take advantage of Golden it is best to always extend your referrals for 240 days as this will lower your Break Even Point (BEP). Take it to the Ultimate. Make even more money if you can afford to invest your money. If you can NeoBux offers Ultimate membership ($890 1st year, $800 2nd year and on-wards). 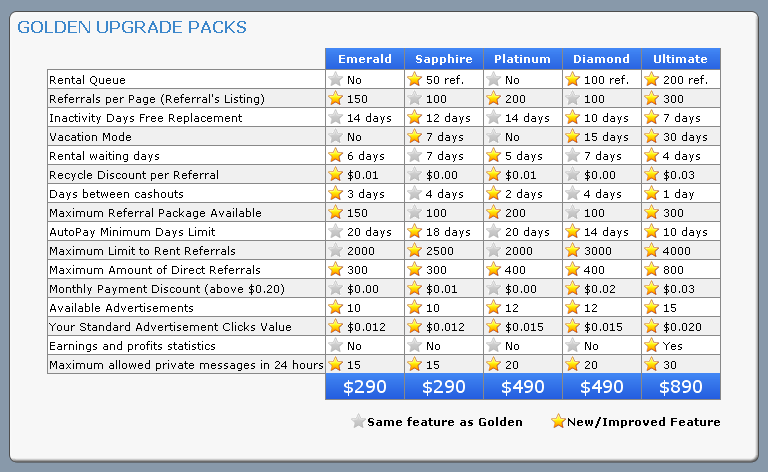 Some of the benefits below include 15 available fixed ads each day ($0.02). 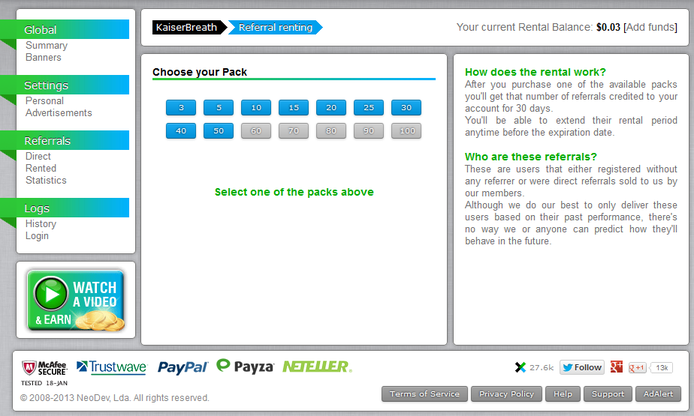 You can rent up to 4000 maximum referrals. Unlimited vacation days (this will come in handy when you cannot click your ads, you will still be able to earn your your referrals). Ultimate members can rent beyond the 4000 RR limit but will need to use the rental queue and it does cost more ($0.60 plus an additional $0.01 for each 100 referrals that the user has above the limit to a maximum of $1.20). The basics to NeoBux success lay in some small steps: 1. Click ALL your ads every day according to server time. 2. Rent some referrals if you can afford it. 3. Get some direct referrals (after you have meet the requirements). 4. 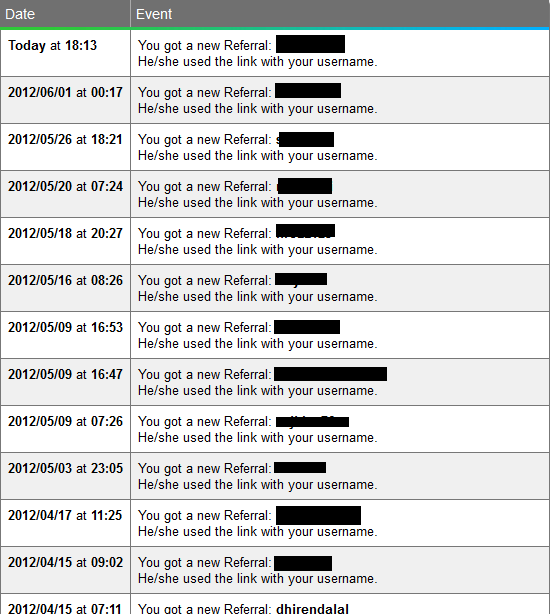 Manage your referrals smartly. I recommend keeping a chart with statistics 5. Consider buying any upgrade that you believe is a useful one when you can afford it - to greatly grow your earns. 6. Complete some Mini jobs if you can. This is a great source of extra earnings. 7. 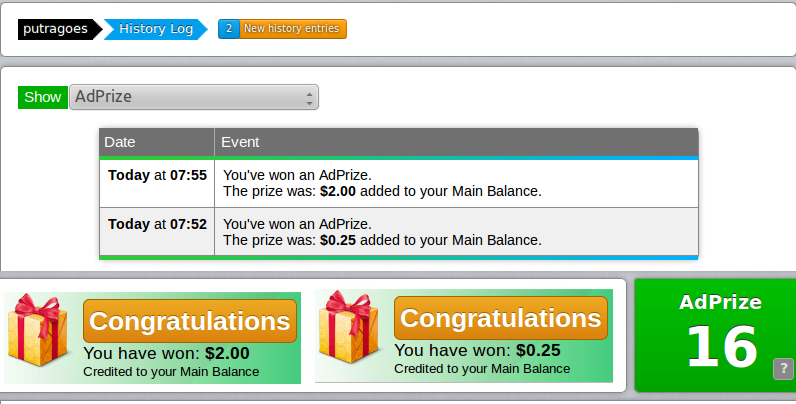 Click additional ad exposures and earn Points (an be used for internal services) and win prizes on AdPrize. You are now on your way to earning money on the King of PTC - NeoBux.